If something is worth doing it’s worth going all in. 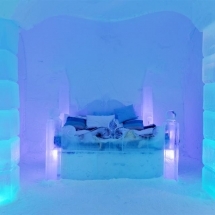 Scandinavia’s winter-loving icehotels seem to have taken some inspiration from this mantra. 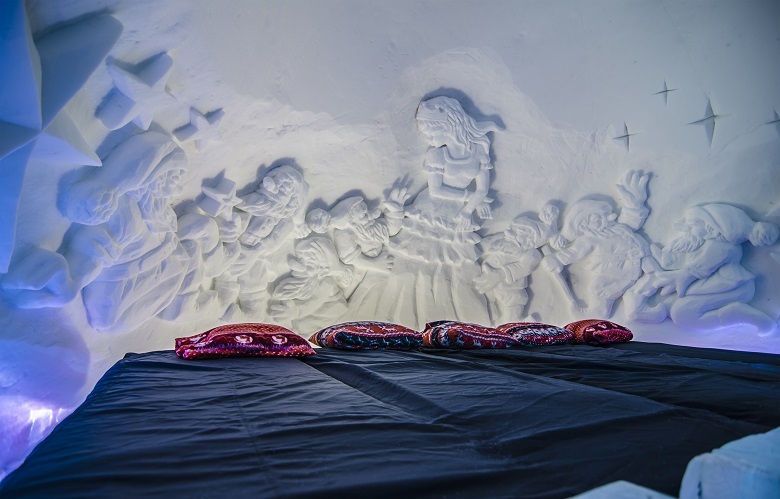 Each season a handful of Nordic ice and snowhotels delight snow lovers and ice queens with awe-inspiring artworks made from nothing but frozen water. 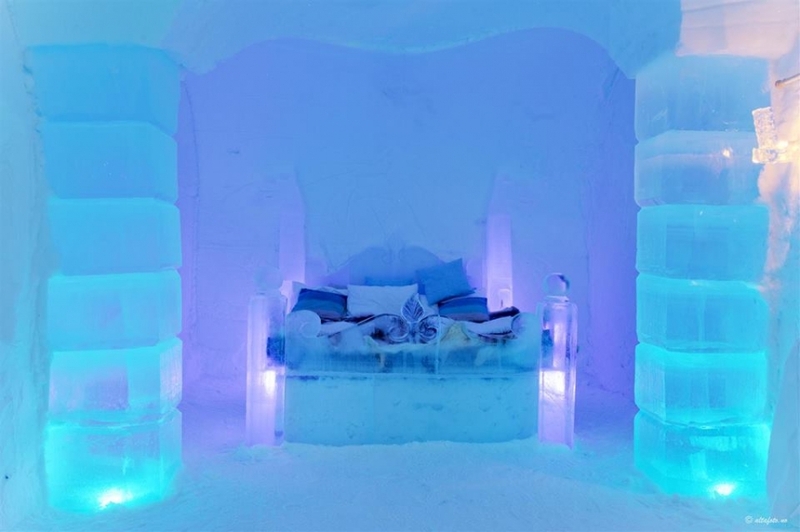 Those who share a deep fascination for the manifold uses of ice can either visit or go all in and spend a night in one of the themed rooms. As the busy construction period is now in its final stages, it is time to share some of the amazing rooms travellers can marvel very soon. Winter is coming-fans of the medieval fantasy epic have known it for a long time. 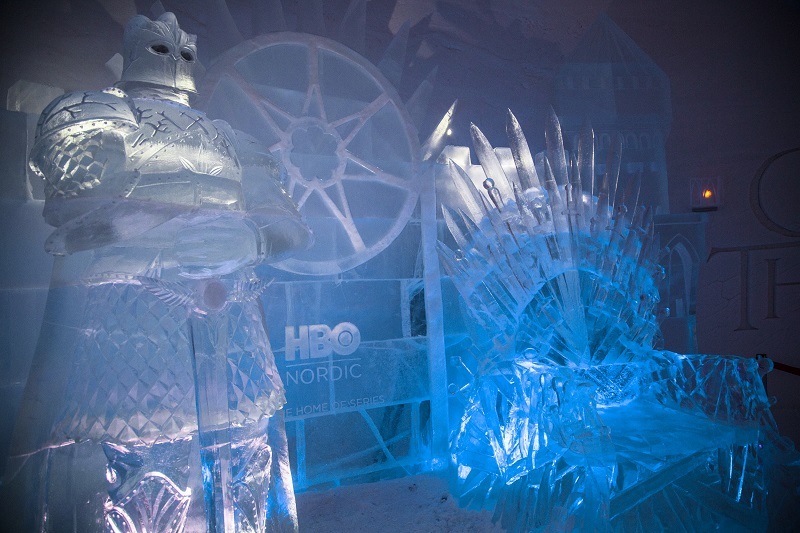 To build excitement ahead of the season finale in April, the snow village in Finland has partnered up with HBO. 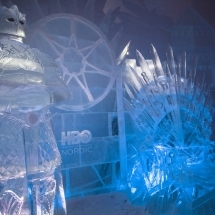 Fans can now scheme their next move by studying a frozen map of Westeros, cast orders from an ice-made Iron Throne or ponder the threat the latest member of the White Walkers army (Khaleesi’s fallen dragon) may pose to Jon Snow. Needless to say, there is no better place to anticipate the battle between the North and the White Walkers than during the reliably cold Finnish winter. 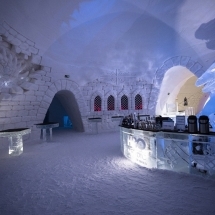 The iconic ICEHOTEL has taken some inspiration from the ocean this winter season. In a bid to raise awareness on the challenges marine flora and fauna are currently facing British artist duo, Jonathan Paul and Marnie Green, have dedicated a room to the beauty and diversity of life in the ocean. Other artists have also been inspired by the simplicity of outdoor life by creating a room reminiscent of an outdoor campfire. Overall, a symposium 33 artists from 13 different countries collaborate on the 29th edition of the unique hotel. Don’t forget, the hotel is a museum during the day so you get the chance to have a sneak peek of all the rooms during your visit. If you don’t quite fancy staying in the -5-degree rooms you may also opt for a warm stay in the nearby cabin. P.S. 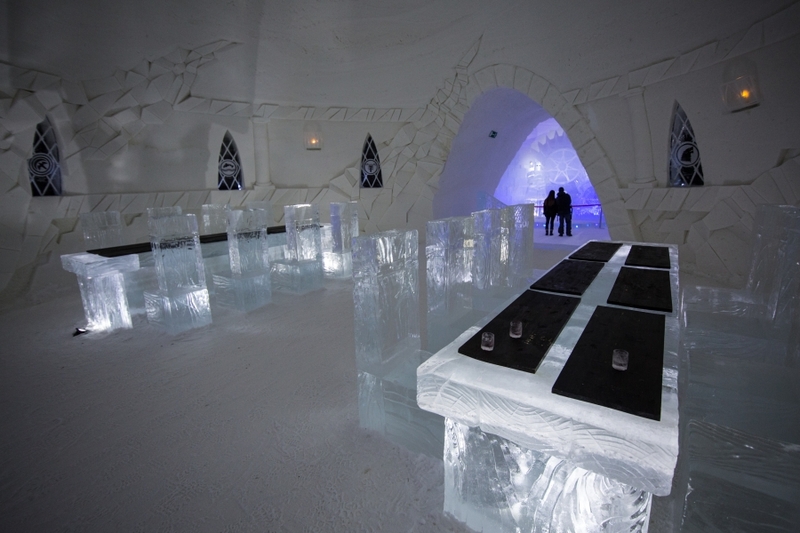 Did you know that the ICEHOTEL can be enjoyed all year round? Check these options if you prefer travelling during summer or autumn. Located near the city of Alta, the Sorrisniva igloo hotel celebrates its 20th anniversary this winter season. 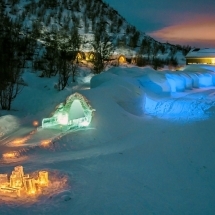 The intimate, community-centered hotel stays true to its heritage by introducing its visitors to local folklore including tales about Viking and the Sami. Learn about local legends and the significance of local wildlife as you walk past the intrinsically designed halls and rooms. 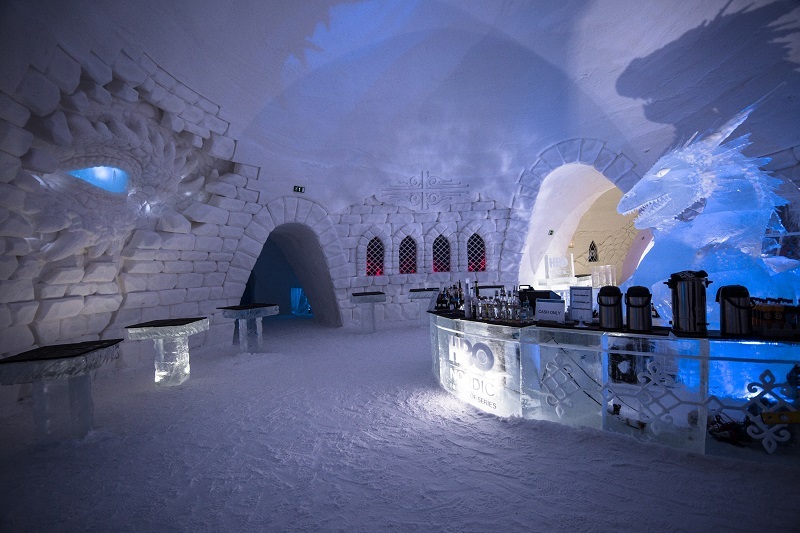 At the ice bar, you may enjoy a taste of local drinking culture as you sip on a glass made from ice. 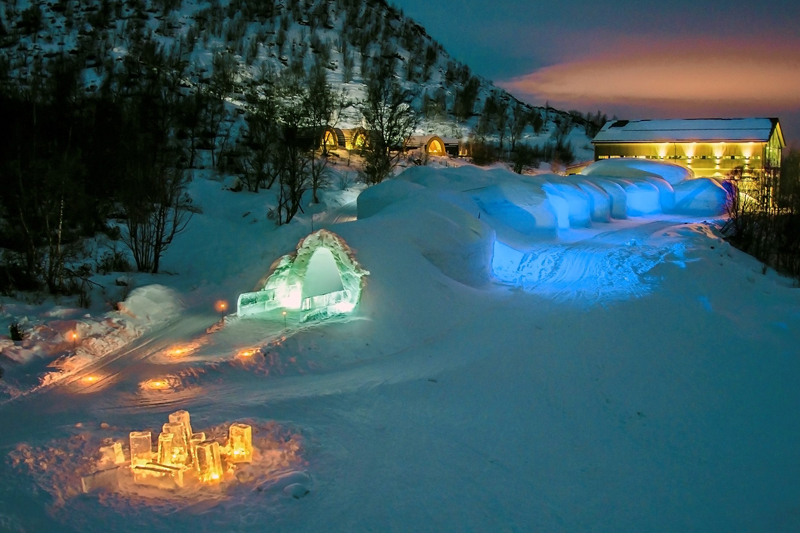 The remote Kirkenes Snowhotel is a haven for king crab safaris and Arctic wilderness aficionados. 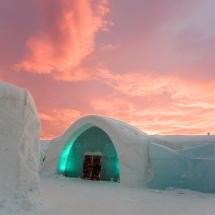 Taking inspiration from the stunningly raw wilds of the Finnmark plateau as well as the nearby coast, the hotel highlights Nordic outdoor culture. Occasionally, you may find a Russian touch or be surprised by artwork from a completely different part of the world. 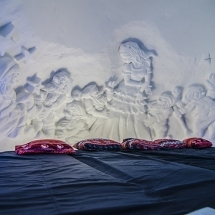 At the Kirkenes Snowhotel, you may join a wide variety of wilderness activities. We recommend mixing up your stay with a few nights in the Gamme Nothern Lights Cabins. Do you still need help deciding for the right stay? 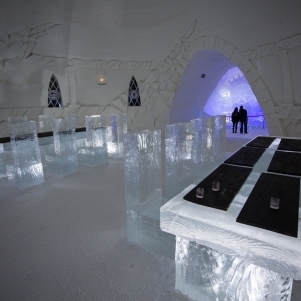 Learn more in our icehotel guide. *Please note that the images above are from previous years. Official images from this year's version are still to be released. Think of it as a snowy surprise!